HIGH Harper is a lovable oaf. LOW Environments are littered with untapped potential. WTF Comic Sans is a selectable subtitle font?. In recent years, point-and-click games have fallen from the mainstream as more interactive adventure stories have risen in popularity. Classics like King’s Quest and Day of the Tentacle have been usurped by the likes of The Walking Dead and Gone Home, but every once in a while a developer takes a stab at the old-school formula with a release like Unforeseen Incidents. Backwoods Entertainment drops players into the fictional city of Yelltown as Harper Pendrell, a local smart-mouthed handyman. He wakes up at the crack of noon to a radio show discussion about “Yelltown fever,” a mysterious contagious disease that’s being treated by the Rancho Health Corporation — a similarly enigmatic medical monolith. The severity of the disease is quickly established as Harper runs into an infected woman bleeding from the eyes and mouth who’s spewing some gibberish about a reporter and begs him not to call for help. This encounter marked my first gripe with the game just a few minutes in — the illusion of choice. I technically had the option to not call RHC, but I couldn’t search for the reporter who would start my adventure without beckoning the hazmat team. This was a recurring issue — while most characters have a good handful of dialogue choices, there only ever seemed to be one that would make the story progress. On top of the deceiving dialogue options, most of the puzzles in the game had frustrating solutions, and it was common to find roundabout remedies to seemingly simple dilemmas littered throughout the beautiful comic book-style world. For example, delivering a sandwich to a farmer for use of his radio or bringing a batch of cupcakes to a shut-in to get him to open a gate feel mundane and cheap, and the fact that these menial tasks were absolutely vital to figuring out the conspiracy pulled me further out of the story than I thought possible. Frankly, the act of getting these all-important comestibles seemed backwards. In order to get the aforementioned cupcakes, I had to make Harper distract a friendly diner waitress so that I could unlock her car and steal the cupcakes, which goes directly against all of his good-hearted doofiness that’s established early on. Why not just let him ask for the cupcakes? 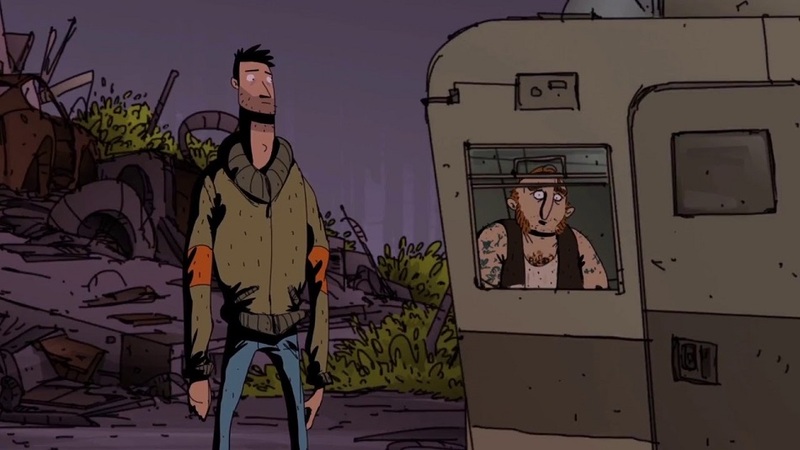 In fact, the only tasks in Unforeseen Incidents that felt meaningful were the riddles that came later on. Harper would, over the course of a few different screens, gather a small handful of information that needed to be rearranged in dialogue with a specific character to solve a puzzle as a means of providing background to the conspiracy. 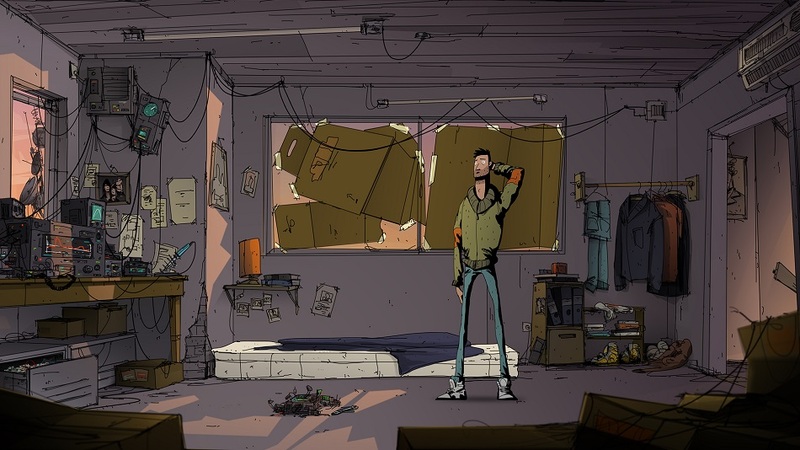 Where Unforeseen Incidents truly falls flat, though, is innovation. As a point-and-click game, it has decades of predecessors to learn from and build upon, but it lacks things as basic as a journal or a log to keep track of objectives and characters. The only modern quality-of-life improvements I managed to find were the ability to double-tap a path to skip Harper’s walking animation and the use of spacebar as a tool to highlight what I could interact with. Unlike the puzzles, almost all of the characters throughout the four acts, even the irritating ones, were believable. 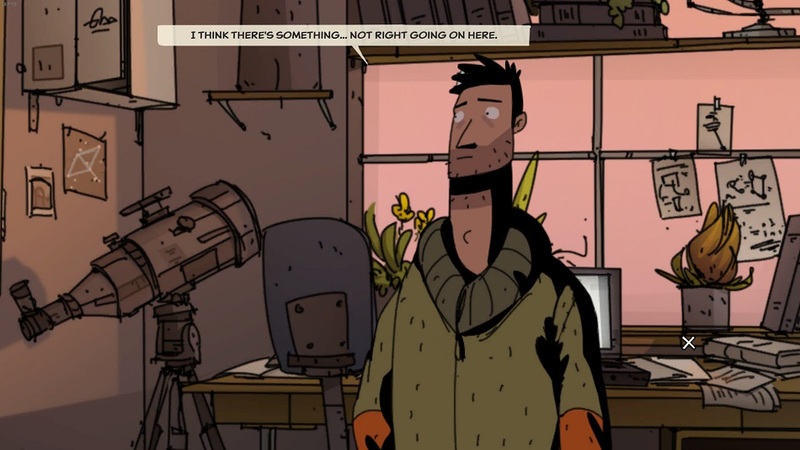 The highest points of Unforeseen Incidents are the first and third acts, which take place in Yelltown and the nearby seaside town Port Nicola. These environments were home to far more distinguished characters — like Harper’s friend Morton and the young hippie at Port Nicola University — and the mystery of “Yelltown fever” just felt far more alive in the cities than in the wilderness of chapters two and four, while maintaining some much-needed levity. Disclosures: This game is developed by Backwoods Entertainment and published by Application Systems Heidelberg. It is currently available on PC, Mac and Linux. This copy of the game was obtained via publisher and reviewed on the PC. Approximately 10 hours of play were devoted to the single-player mode, and the game was completed. There are no multiplayer modes. Parents: This game is not currently rated by the ESRB. It contains Alcohol, Mild Violence, Mild Language, Tobacco Use and Blood. It’s unsettling to see “Yelltown Fever” in action (bleeding orifices and all) but it’s only shown once. There’s some intermittent swearing and a friendly alcoholic junkyard owner, but other than that, it’s a fairly tame experience. Deaf & Hard of Hearing Gamers: There are three different fonts to choose from for subtitles, but they are not resizable. All of the solutions to puzzles are communicated clearly through text and there are no sound cues that are vital to overcoming any challenges. Remappable Controls: No, this game’s controls are not remappable. There is no control diagram, but this game is controlled with a mouse for pointing and clicking. Colorblind Modes: There are no colorblind modes available. Thanks for your review. Actually “Comic Sans” is not a font that’s been used in the game. We’ve spent quite a bit of time trying out several alternatives before we chose fonts for the game and had the beta testers give feedback on readability.